As a dog owner, I know that parasites are a common problem among dogs, but that doesn’t stop me from worrying about my babies. The fact that these pests can cause itchiness, pain and the general feeling of discomfort breaks my heart. I only want the best for them, and their health, happiness, and comfort are always a top priority. However, what happens when you find your dog one day with what seemed to be bug bites, only to find that something more horrifying is already happening to your dog? Just the mere thought of it makes me want to hug and kiss my babies. Which is why when I came found a video on Youtube, I was completely petrified. 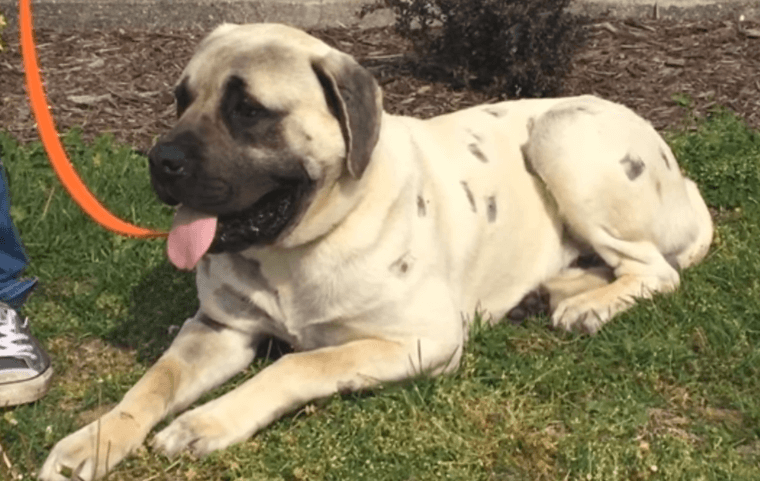 A woman named Hayden Howard was a 24-year-old mom living with her son Noah and their canine buddy – an English Mastiff pup in Seymour Indiana. Jackson, the dog was a kind, sweet and lovable dog who is loved by his two owners. 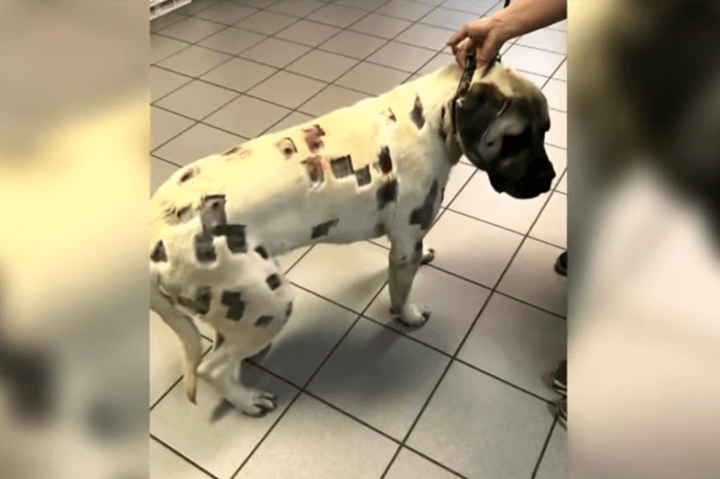 One Saturday, his owner found her with marks that looked like bug bites. But since Jackson was acting like his normal self and didn’t look like he’s uncomfortable with the marks, his owner shrugged them off but decided to keep an eye on them. However, the more Hayden looked at the tiny puncture wounds, the more concerned she gets. There was something unusual about them. Howard was spending time in their enclosed yard when the incident happened. She seemed to find more and more marks on Jackson’s body. Over the weekend, she grew more worried as Jackson’s bug bites seem to grow in numbers. Not only that, they seem to be holes that she couldn’t think of a reason where her dog got them in the first place. That’s when she decided to take a closer look. She was not able to see what was hiding behind her dog’s fur, so she decided to take him to the vet on a Monday. 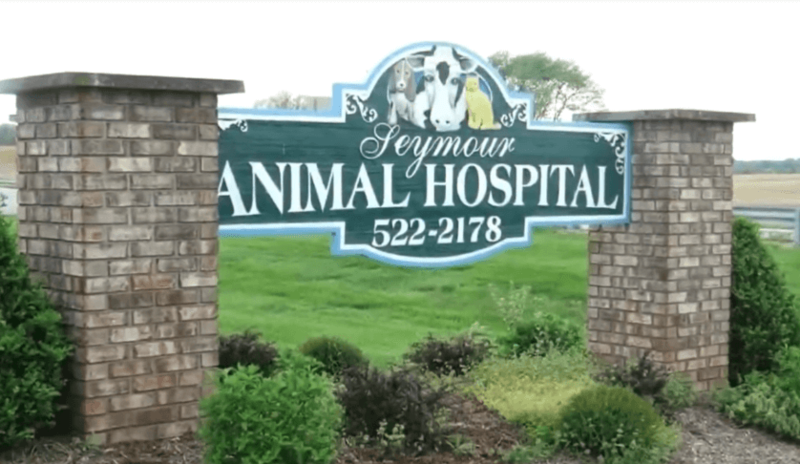 Monday came and she went to the vet at the Seymour Animal to have her English Mastiff checked. When it was Jackson’s turn, the vet, Dr. Steve Sunbury brought Hayden the horrific news. Jackson did not have bug bits, but something much worse. Playful Puppies Are So Cute!